There is a totally overwhelming number of protein powders, but finding one that is low FODMAP is tricky! 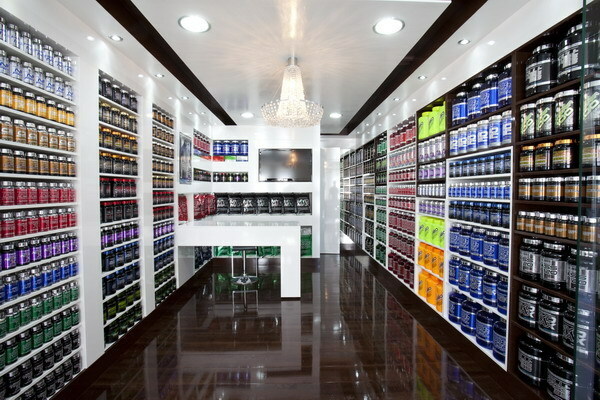 Protein powders all the buzz these days but don’t feel pressured to partake! Most people can get all of their protein needs from food alone, without resorting to a supplement. So many products to choose from! As a dietitian, I advise everyone to get their nutrition from food first and to minimize processed foods. This is especially important for people with IBS following a low FODMAP diet because we know that certain ingredients and additives can trigger digestive symptoms. Despite the plethora of health claims on the labels, I still consider most protein powders to be ultra processed foods and many contain a long list of additives that may or may not be healthy. So, keep that in mind as you browse the store shelves. It is surprisingly easy to figure out your daily protein requirement. The average person requires about 0.5 grams of protein per pound of body weight. Therefore, if you weigh 150 pounds, you need about 75 grams of protein. It really is that simple. There are times when your protein requirements may be higher, but this is the average for men and women. In my Smoothie E-Book, I have lovingly cultivate 9 high protein, low FODMAP and delicious smoothies as well as 2 refreshing agua frescas. Each recipe has vegan variations and they are reliably low FODMAP. They are naturally high in protein but if you want a little more, there are protein powder recommendations included. As an IBS specialist dietitian, I couldn’t pass up the opportunity to include the right type of fibre to keep your gut bacteria happy as well. 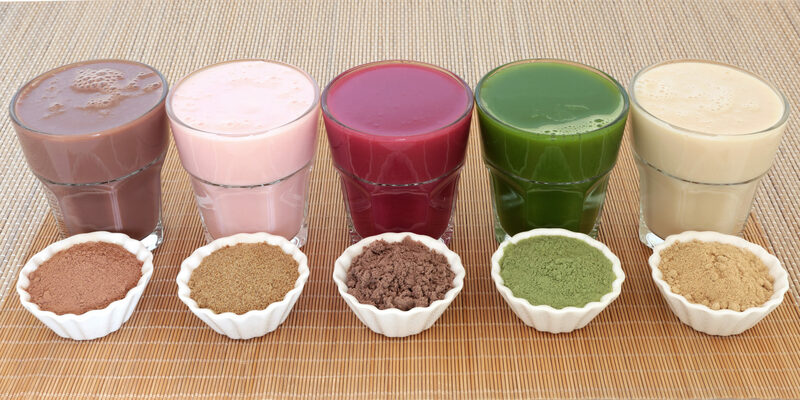 I think that you and your gut will really love these smoothies! Here is a list of low FODMAP ingredients that are commonly found in protein powder. For an excellent explanation of why they are low FODMAP, refer to Alana Scott’s article on A Little Bit Yummy titled, What Protein Powders are Low FODMAP. The following ingredients which are commonly found in protein powders, are either high in FODMAPs or have not yet been tested by Monash or FODMAP Friendly. Either way, you should avoid them during the elimination phase. You can test your tolerance during the reintroduction phase and see how you do. For a good overview of the low FODMAP diet, read my blog article titled, An Overview of the Low FODMAP Diet. Here are those ingredients to watch for. Keep in mind, this is not a complete list. Here are a few protein powders that appear to be low FODMAP from looking at the ingredient list. Please keep in mind that other products made by the same company, but of a different flavour, may not be low FODMAP. Product ingredients change, so always check the label to make sure that no high FODMAP ingredients have been added. If you need some additional low FODMAP protein in your day, look for a protein powder with ingredients that are known to be low FODMAP and that doesn’t include any extra additives. They are tricky to find, but they do exist! I am an IBS Specialist Dietitian, mom, runner, and travel addict. I am based in Edmonton, Canada and I offer nutrition counselling in person in Edmonton or remotely across Canada. If you are looking for help, have a look at my nutrition counselling page or get in touch for a free call. I’d like to thank my colleague and friend Lauren Renlund, also a FODMAP dietitian for reviewing this article. Lauren offers a delicious repertoire of low FODMAP recipes on her website.